"I warn you, boy… You are not prepared for the truth." 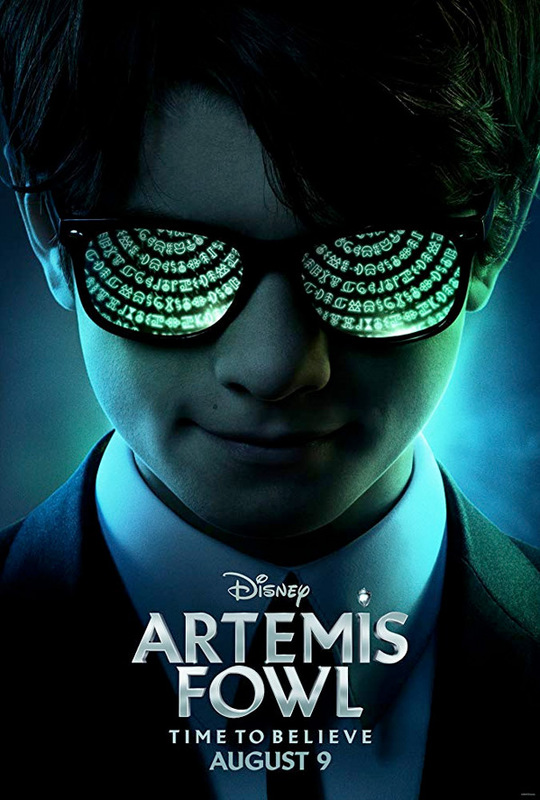 Disney has released the very first teaser trailer for Artemis Fowl, an epic adaptation of the fantasy book series by Eoin Colfer. The story follows a 12-year-old criminal mastermind named Artemis Fowl, who discovers a world below ground of armed and dangerous--and extremely high-tech--fairies. He kidnaps one of them, Holly Short, and holds her for ransom in an effort to restore his family's fortune and find his father. Ferdia Shaw stars as Artemis, and the full cast includes Lara McDonnell as Captain Holly Short, Judi Dench, Josh Gad, Nonso Anozie, Tamara Smart, Miranda Raison, Joshua McGuire, and Hong Chau. This looks super cool! Maybe a few years late, but I like all the footage in this so far. And I really dig the use of Radiohead in this teaser trailer, fits just right. Descended from a long line of criminal masterminds, 12-year-old genius Artemis Fowl finds himself in a battle of strength and cunning against a powerful, hidden race of fairies who may be behind his father’s disappearance. Newcomer Ferdia Shaw plays the title character, with Lara McDonnell (Love, Rosie) playing Captain Holly Short, a feisty, spirited elf, who is kidnapped by Artemis for a ransom of fairy gold. Artemis Fowl is directed by Irish actor-filmmaker Kenneth Branagh, director of the films Mary Shelley's Frankenstein, Hamlet, Love's Labour's Lost, As You Like It, The Magic Flute, Sleuth, Thor, Macbeth, Jack Ryan: Shadow Recruit, Cinderella, and Murder on the Orient Express previously. The screenplay is written by Michael Goldenberg, Adam Kline, and Conor McPherson; adapted from Eoin Colfer's book of the same name. Disney will release Branagh's Artemis Fowl in theaters starting on August 9th, 2019 next summer.